If you really think about it, we’re all a bunch of weirdo’s and oddball’s (especially when no one’s around), but those of us that can embrace our individuality are the ones who succeed. Individuality is what sets us apart from those who aren’t brave enough to follow their own passions and beliefs. Simply being you will guide you to success. I sometimes struggle to understand why so many people find it more comforting to follow trends, under the rules of somebody else’s judgement rather than sticking by what they believe in and aiming for what they really want out of life. Many people say it’s due to a lack of self confidence, yet I’ve seen, in fact I have people very close to me that have gone through huge traumas in life and despite all the judgement and negative attention, they feel self assured and powerful because they have accepted who they are. They adopt a fearless mindset because they know there’s no point trying to satisfy the expectations of others; they’ve learned that the only person that truly has their best interests is themselves. A good way to build self confidence is to frequently let yourself out from your shell until you discover that you are happier being free to believe in yourself. One thing I notice in all happy and successful people is their ability to be themselves all the time, even when they have to adopt a certain role; they never part with their own identity or their own brand. Homes are a safe place because you’re free to express yourself and be yourself. Life is short and it’s not worth living under the dome of somebody else’s perception of you, so be the person you are in your safest environment. Think about when you’re alone at home or in your room perhaps, when nobody’s around to judge you; it is the only time you may feel you can truly be yourself. There’s no fear of what others might see because you are in the privacy of your own home, where there is no fear of judgement, no fear of failure, no embarrassment or any negative energy. A very big factor to take into account, that is if you want to live your dream successfully, is you have to keep the doors wide open and let the world take a look at who you are. If you do not allow your true self to be exposed then you’re only halting your own success because you’ll forever be living life satisfying the ideals of others. Ask yourself, who are you living your life for? If you’re trying to mould yourself into the shape of somebody else’s image, or if you’re trying to mask your identity based on other people’s perception of you, then you’re going about life completely wrong because you’re basically handing it over for somebody else to control. Fear comes from a lack of control and people with low self esteem fear being themselves. Do the people that judge you, bully you or intimidate you care if you succeed in life? Doubt it, so take back control to let go of fear. The Truth: it is only you who decides who can judge and influence you and it is only you who determines your own destiny. My blog is called ‘The Lion’s Life’ because when I began writing it I needed a simple way to explain how life should be lived; with a firm identity and knowing who you are, claiming your place in the world and knowing exactly what it takes to survive and succeed. Posted in Decision Making, Misc. Lifestyle, Overcoming (doubt- stress- anxiety e.t.c. ), The Lions Life - Entire Collection.Tagged confidence, identity, Motivation, Self image, Success. 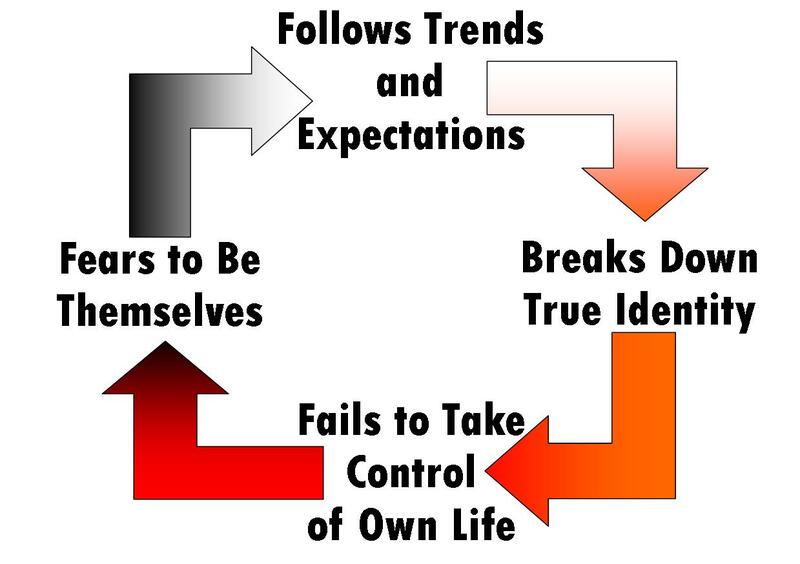 Previous Post Stick To Your Beliefs, Develop Your Identity, Take Control And Become Successful! Next Post 4 very important lists that everyone should make, right now.